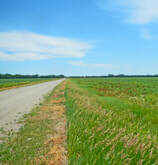 ​The mission of the Iowa Agricultural Mitigation, Inc. (IAMI) is to provide wetland mitigation credits for impacts to farmed wetlands in north central Iowa. 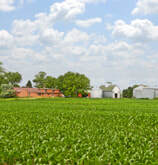 The bank is intended to provide owners of farmed wetlands an alternative replacement option. 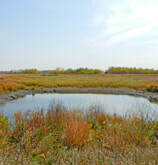 ​Wetland Mitigation banking has been commonly used to replace wetland impacts on a national scale since the 1980’s. Mitigation banking is growing in the Midwest and becoming a preferred method to compensate for unavoidable wetland losses. IAMI is a 501(c)(5) non-profit umbrella-type wetland mitigation bank formed in June 2010. The board of directors is composed of local officials and natural resource professionals. What is IAMI? How does it work? We answer all your questions here at our Frequently Asked Questions page to help see if the Mitigation Bank is the right choice for you. ​Credits are sold on a first-come, first-served basis with drainage district projects having the highest priority. Credit prices can vary depending on service area, with no minimum or maximum purchase limits. "Kevin was helpful and is great to work with. I would recommend IAMI to anyone."